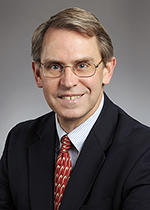 R. Paul Johnson, MD, is director of the Yerkes National Primate Research Center. He most recently served as director of the New England Primate Research Center (NEPRC), chairman of the NEPRC Division of Immunology and professor of medicine at Harvard Medical School and Massachusetts General Hospital. “Paul Johnson is internationally recognized for his leadership in developing innovative research models and in building effective working relationships with researchers throughout the world,” says S. Wright Caughman, MD, executive vice president for health affairs, Emory University, CEO of Emory’s Woodruff Health Sciences Center and chairman of Emory Healthcare. Among Johnson’s research interests is identification of immune responses that can protect against HIV infection. “Analyzing protective immunity in macaques immunized with SIV is one of the best models we have to try to design better AIDS vaccines,” says Johnson. “The focus of my work is determining what sort of immune responses can best protect people against HIV.” 12/2/14 Note: Dr. Johnson has received a Phase II Grand Challenges Explorations grant from the Bill & Melinda Gates Foundation. In addition to his research and serving as director of the NEPRC, Johnson has held various leadership roles at Harvard Medical School, including director of the Developmental Research Core for the Harvard Center for AIDS Research and associate director of the Harvard Committee on Microbiologic Safety. He has served as a highly regarded mentor for numerous post-doctoral fellows and graduate students and has taught medical students, residents and fellows within the clinical service of Massachusetts General Hospital and for the Harvard Medical School Virology and Immunology Programs. Johnson is Board Certified in Internal Medicine with a Certification in Infectious Diseases. He is a member of the American Society for Clinical Investigation, a Fellow of the Infectious Disease Society of America and the recipient of multiple national and international awards in AIDS research, including the Elizabeth Glaser Scientist Award. He has published nearly 130 peer-reviewed scientific papers as well as book chapters, monographs and editorials. Johnson received his bachelor’s degree in Psychology at Duke University and his medical degree at Harvard Medical School. He served as chief resident at Yale-New Haven Hospital and as a clinical and research fellow in infectious disease at Massachusetts General Hospital in Boston.